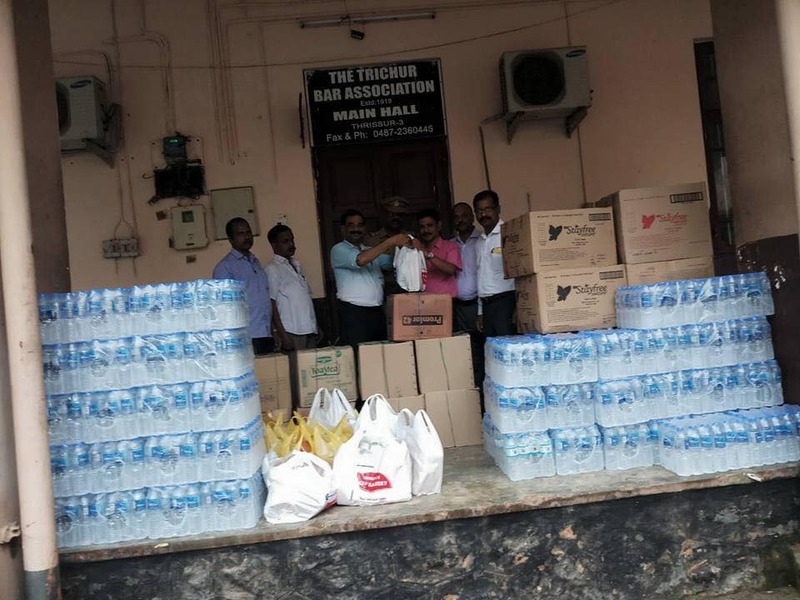 While Kerala is reeling under unprecedented flood crisis, the legal fraternity in the state is making notable contributions to relief works. 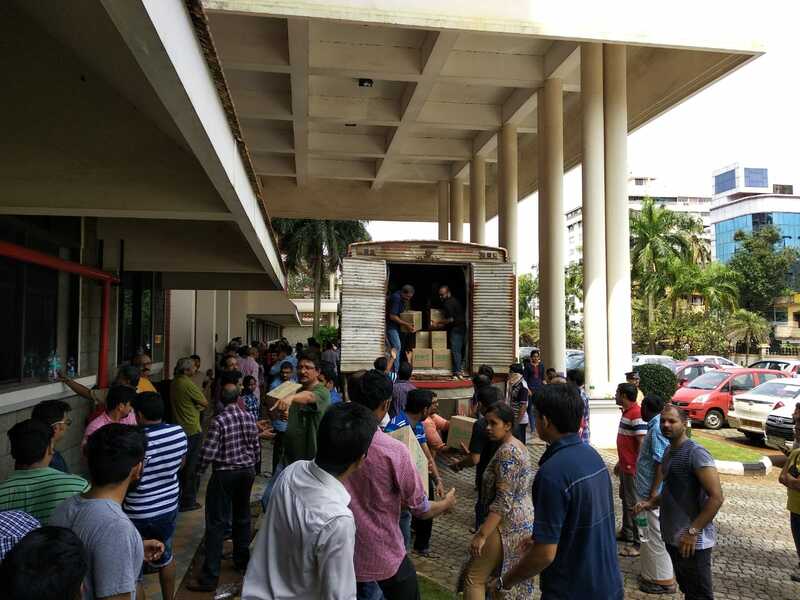 Bar Associations across the state did not hesitate for a moment to utilize their organizational resources and manpower to render aid in relief work. 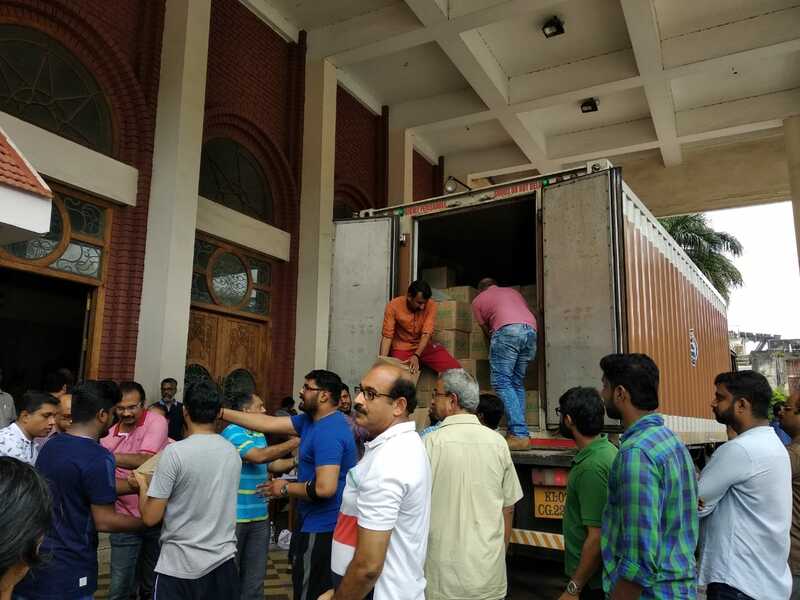 On August 17, Friday, the Kerala High Court Advocates Association set up a collection centre for materials required at relief camps, which has been functioning without break since then. Materials like rice, water jars, pulses, dal, baby food, sanitary napkins, diapers, sleeping mats, bed sheets, blankets, clothes, undergarments etc. are being collected at the centre. The Association is coordinating with about 50 camps in Ernakulam district to ascertain the requirements in each camp. On the basis of demands from camps, materials are taken there by association members in their private vehicles. Meanwhile, other members busy themselves by sorting the sourced materials. This process has been going on round the clock for the past four days on the basis of recurring need in camps. The Association was involved in rescue operations as well. The brave-hearts from the Association braced adverse weather conditions to rescue persons stranded in nearby Moolampally island. The High Court premises was bustling with activities even on Saturday and Sunday, with hundreds of lawyers - both young lawyers and senior advocates - turning up as volunteers. Yesterday, about 2000 cartons of water bottles in two container trucks were donated at the collection centre, which were unloaded within no time by the lawyers. The Association is also collecting and distributing cleaning materials like phenol lotions in small bottles, to help cleaning up of houses filled with mud and slurry due to floods. In the General Body meeting convened today, which was presided over by the Association President Adv. V Ramkumar Nambiar, further plans for distress relief were discussed. It was revealed in the meeting that the the Association has collected cash and materials having a cumulative worth of about Rs. 60 lakhs over the past few days. It was also stated that the Association has sought help from other Associations across the country. The Secretary of the Association, Adv. 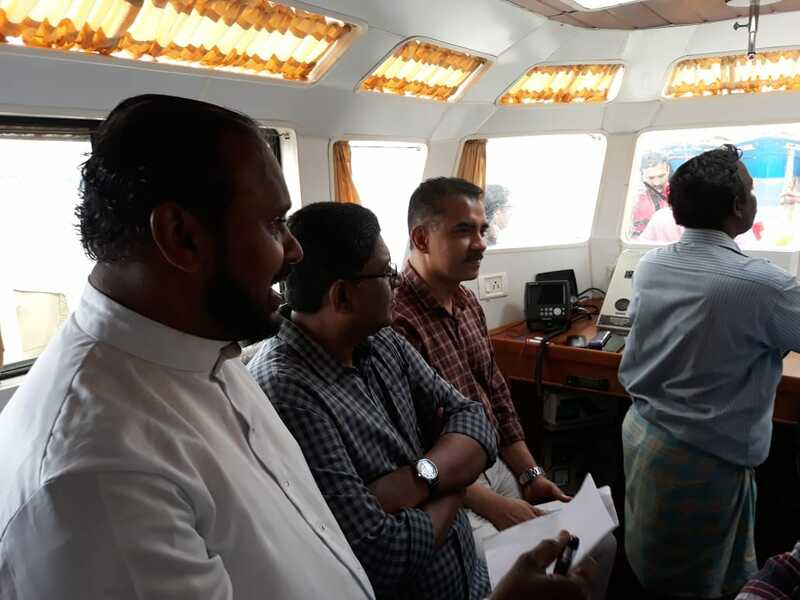 Saiby Jose Kidangoor, suggested in the meeting that focus has to be shifted to rehabilitation activities, as the flood situation has started to recede. The General Body endorsed the plan for taking up rehabilitation measures for the flood victims and decided to chalk out the modalities of the proposed operation in due course. Sitting judges of the High Court showed support and solidarity for the relief operations undertaken by the Association. They were present throughout in the collection centre, interacting with the members and motivating them. Chief Justice Hrishikesh Roy at the collection centre. HC Judges Justices S P Chaly, Chitambaresh, C K Abdul Rehim & D S Naidu (sitting from left to right) making a night visit. Justices Mary Joseph & PV Asha interacting with the volunteering lawyers. Deeply moved by the humanitarian spirit shown by the lawyers, Justice Devan Ramachandran wrote in Live Law that "this is the true face of our profession". 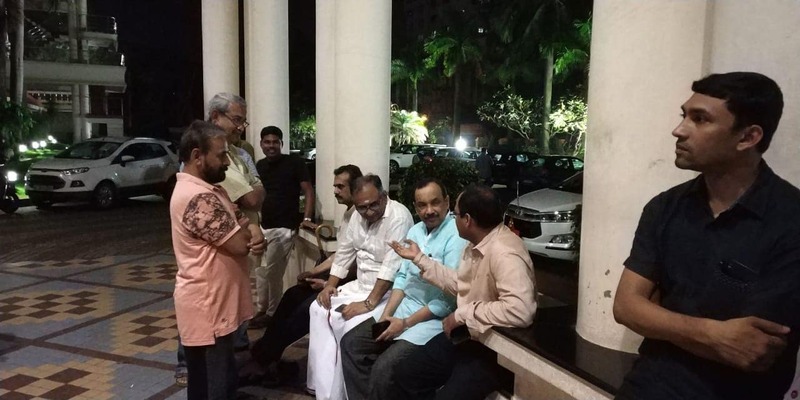 Some of the judges visited the relief camps to inquire about the conditions there.Yesterday, Justices Raja Vijayaraghavan and A K Jayasankaran Nambiar drove to a relief camp at Munambam to distribute materials. Justice Devan Ramachandran going for a camp visit. Justice Jayasankaran Nambiar and Justice Raja Vijayaraghavan proceeding to a camp site. 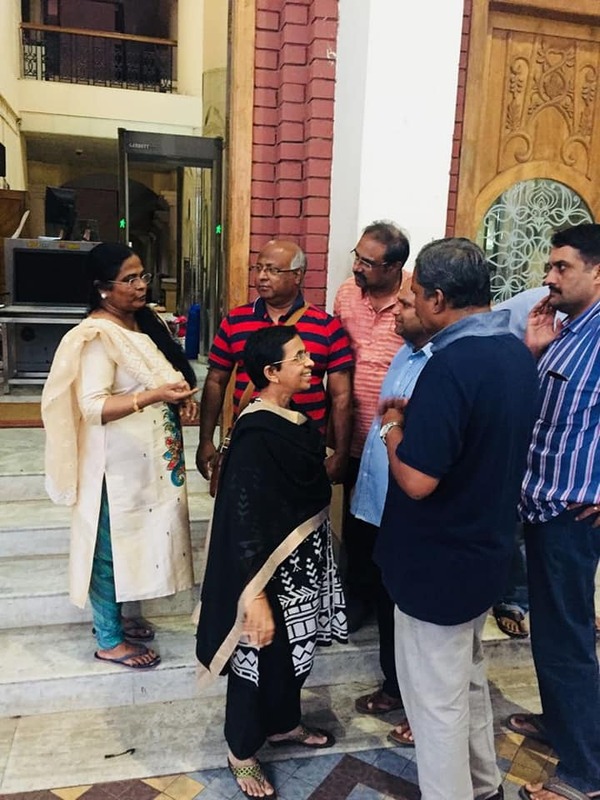 While the activities of High Court Advocates Association are primarily focused in the Ernakulam district, relief operations in other flood affected district are undertaken by bar associations of subordinate judiciary. The Kottayam District Legal Services Authority arranged a kitchen in the compound for cooking food for distribution in relief camps. Judicial officers and lawyers were involved in cooking and preparation activities. Trichur Bar Association of the badly hit Thrissur district organized relief activities for the district. The Association cancelled its Onam celebration programs to contribute to relief fund. Collection centre at Thrissur Bar Association. Kerala is facing an unprecedented crisis, as it has been hit by the worst-floods in 100 years. 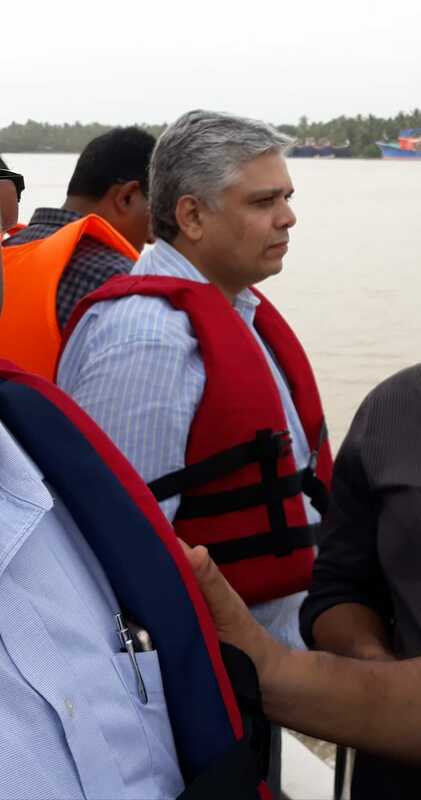 After heavy monsoon downpour, 35 dams have been opened and 44 rivers are overflowing, deluging most towns of the state across its length and breadth, resulting in loss of about 300 lives. More than 3 lakhs homes and 10,000 kilometers of road have been destroyed. The loss caused is estimated to be about Rs.19,000 crores. About 3 lakh persons are reported to have been displaced and shifted to relief camps. Relief and rescue operations are being undertaken by a team under the National Disaster Response Force. Necessary food and other items are also being sourced from various sources, with citizens teaming up to help in contributing towards several funds constituted for the purpose. The legal bigwigs have stepped forth as well, with Attorney General for India KK Venugopal having donated Rupees One Crore to Kerala Chief Minister’s Distress Relief Fund. His son and Senior Advocate Krishnan Venugopal has contributed another Fifteen Lakhs for the relief activities. Senior Advocates Jaydeep Gupta and C U Singh have contributed Rupees Ten Lakhs and Five Lakhs respectively. Last Saturday, Delhi-based lawyers collected relief materials in Delhi, and sent it to Kerala through a special aircraft of Navy. Donations can also be made online, here.